We’re a company with a thirst for adventure and a story of entrepreneurship and adaptation. We may have started out as a print business over 100 years ago, but as the market has changed, we evolved into so much more than that. Our ability to adapt and our willingness to take a leap of faith means we’re able to deliver investor communications that rise above the rest. With our strategic advisory and production services, we help corporate clients meet their regulatory disclosure requirements and empower their shareholders with knowledge – about how the company has performed in the past, and where it will go in the future. We also equip investors with the tools they need to connect with like-minded people and the information they need to make more informed investment decisions. We will do whatever it takes to deliver the right message to the right people at the right time in order to co-create an interconnected community of informed contributors and, subsequently, a more inclusive investment ecosystem. Interested in learning more? Contact us today to start a conversation. 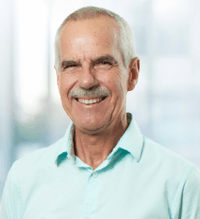 Joining the family business in 1976, Alban has had a diverse and varied experience over the course of his career at the company. A core passion of his has been to develop digital solutions across the product suite of Ince and he firmly believes in the power of people and partnerships to deliver meaningful results. 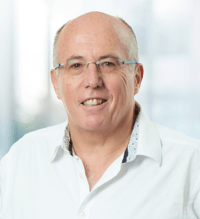 His vision of connecting investors and stakeholders across the African continent and further afield continues to unfold as Ince goes from strength to strength. Alban represents the third generation of Atkinsons to take the helm at Ince, assuming his sole MD role at the end of 2017. Linda joined Ince 18 years ago, starting in the sales team, a career change after studying textiles and fine art. She worked her way through the company as it evolved over time, developing a focus on strategy and reporting. 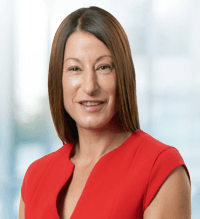 In her role as a joint managing director for the Agency, Linda continues to further develop Ince’s integrated thinking approach to maximising stakeholder value for clients. Steven joined the company on 1 March, 1995 as an assistant in the financial advertising area, later specialising in the sales division for Corporate Finance. 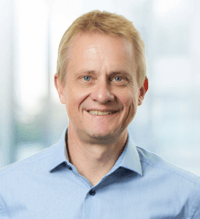 Over the past 23 years he has built up relationships in the Investment Banking Community and took on his current role in the Agency as one of two managing directors. Steven has worked on numerous major corporate transactions as the Corporate Actions manager including MTN Zakhle BEE, Telkom’s IPO, Old Mutual Demutualisation and recently the Sasol Inzalo transaction. 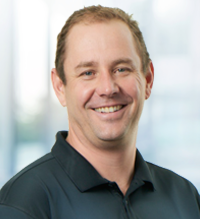 After a lengthy stint as a communications and marketing entrepreneur, Trevor joined the company in 2007, originally fulfilling the role of managing director in corporate communications. Since then he has assumed responsibility for strategy and implementation solutions across traditional and digital media. Itumeleng joined Ince in 2008 as National Events and Promotions Co-ordinator in the Marketing Division. 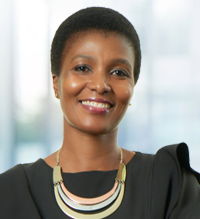 Itumeleng has since fulfilled various roles within the company from Client Services aimed at the Corporate Finance Community, PA to the MD and Corporate Sales targeting both the public and private sector. She is now the head of the Public Sector Division within Ince. Her focus is on Stakeholder communications for the target market of Government Departments, Municipalities, State-Owned Enterprises and Non-Profit Organisations. Itumeleng is passionate about promoting good corporate governance, ensuring that clients meet their required regulatory frameworks and maximizing stakeholder engagement. 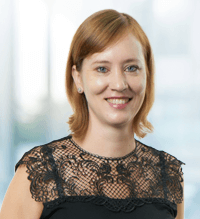 Jana qualified as a Chartered Accountant (CA (SA)) in 2007, the same year in which she joined BDO South Africa Incorporated. She worked for 5 years as an Audit Manager, with one of her clients being Ince during her tenure at BDO. In January 2013, after 10 months of working as a financial manager at a listed company, she was approached by Ince to join as the finance team as a management accountant. 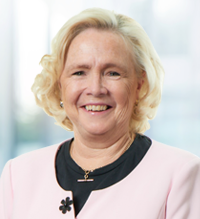 In May 2014 she was appointed as the lead financial manager and heads up the finance department. 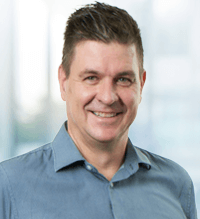 Gary is an experienced HR professional (Chartered HR Practitioner with the SABPP), who has held both management and executive HR roles in a broad range of industries, ranging from mining, manufacturing through to professional services. 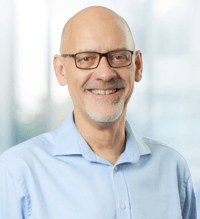 He has a broad base of both strategic, as well as, operational experience and has had significant involvement in managing change and transformation. 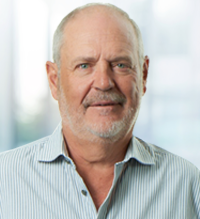 Having spent most of his career in Corporates, such as Anlgo American, Boart Longyear and Edward Nathan Sonnenbergs, he has led and managed the full spectrum of the human resources function. He joined Ince in a consulting capacity in August 2014 and accepted his current role on a fulltime basis on 1 April 2015. David has worked with Ince for many years in a consulting role to guide us as we developed our business strategy for the digital age. At the beginning of 2018, he was asked to join the team to head up IT Solutions, platforms and digital development. Robbie’s working career started in 1975 when he joined Mining House Anglovaal Limited in their Company Secretarial Department. He spent 24 years with Anglovaal during which time he qualified as a Chartered Secretary (FCIS) and worked his way through the ranks, spending the last seven years there as the Group Company Secretary. During this time he worked closely with Ince doing most of the Anglovaal Group’s financial reporting requirements through Ince. In 1999 when Anglovaal unbundled he joined Ince as Divisional Manager of Ince’s then “moTiv” financial reporting division and five years later was transferred to Head Office as Company Secretary. Piet has a Bcom, Hons Bcompt and is Deputy Managing Director of Caxtons Limited. Previously he was Managing Director of Perskor, until it was merged with Caxtons. Helen completed her BA at UCT in Cape Town and thereafter held a number of HR positions with Soekor, Transvaal Coal Owners Association and finally heading up HR at The Urban Foundation. In 1995, after the birth of her two sons, Brett and Dale, Helen started her own HR and Labour Law Consultancy which she has run ever since. Helen chaired the St Peter’s School Council, where there were over 1 500 pupils as well as over 400 staff. Andile, a Chartered Accountant by profession, and current Chairman of the House of Brave Group, a fully integrated marketing communications group, is a seasoned entrepreneur, deal maker and operator of growth businesses. Andile is passionate about entrepreneurship and founded I AM AN ENTREPRENEUR, a platform that helps grow and support emerging entrepreneurs. 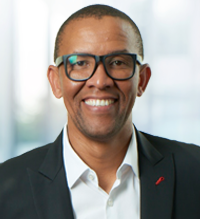 Andile’s former experience spans investment banking with Investec Corporate Finance, COO of MSG Afrika, Managing Director of POWER 98.7 and Director of SAA. He has also served as the President of the Association for the Advancement of Black Accountants of Southern Africa, as a member of the Takeover Regulations panel and a member of the FSB’s Directorate of Market Abuse. At Ince our people commit to long-term careers. Their contribution moves beyond a job and into the realm of expert. The character that an Incie displays and his/her engagement are to the highest possible standard. We use the word professionalism to describe this value. At Ince our people operate in line with best practice, the quality of service is beyond reproach. Our decisions are based on a solid foundation of years of experience, unwavering promises and ethical consideration. At Ince we call this value integrity. At Ince we understand the need to move with the times and think beyond the here and now. We offer solutions that are unique and new. We set trends which others follow and dare to do what others may fear as impossible. At Ince we call this value innovation. At Ince our people unite as one, leaning on each others strengths in the spirit of team commitment and ensuring maximum reach in any given situation. At Ince we call this value collaboration. At Ince we are an exceptional service provider excelling in our relationships and solutions. We constantly strive to improve our skills and innovate our offerings. At Ince we call this value excellence. At Ince our people have a powerful connection to their work. We would go so far as to say that they connect emotionally and enthusiastically to their work responsibilities and client commitments. The energy that comes from bringing more of you into what you do is passion. 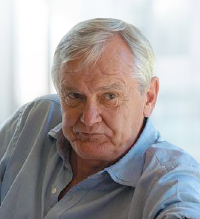 John Goodman Ince opens JG Ince & Son (Pty) Ltd., a family-run printing shop that catered to the printing needs of Johannesburg’s Rand pioneers. JG Ince (Pty) Ltd registers with The Master Printers Association of South Africa. The Atkinson family acquire shares in JG Ince (Pty) Ltd.
We begin printing investor communications for JSE-listed companies. We begin to publish financial adverts for JSE-listed companies. Our operating footprint expands into Durban and Cape Town and our offering grows to include digital solutions. Ince builds the first investor relations website in South Africa. JG Ince (Pty) Ltd becomes Ince (Pty) Ltd.
We launch Motiv to operate as a partner to Ince, providing content development and design services for large corporates’ investor and brand communication needs. The third draft of the King Code on Corporate Governance in South Africa introduces Integrated Reporting to all JSE-listed companies. We sell our last printing press and increase capacity to begin developments on our digital solutions. Our head office moves to Sandton. We launch iMedia, an offering that leverages our shareholder database in order to educate and empower South African retail investors. We publicly launch our iXBRL solution and expand our operating footprint internationally by opening up offices in Mauritius. In 2016, we also launched our B-BBEE partner company, Isiqhingi, who provides specialised stakeholder communication services for public sector organisations. We’re a leading investor marketing agency, working to improve communication between companies and the global investor community.